G’day, my name is Bruce and I am a male Kookaburra. 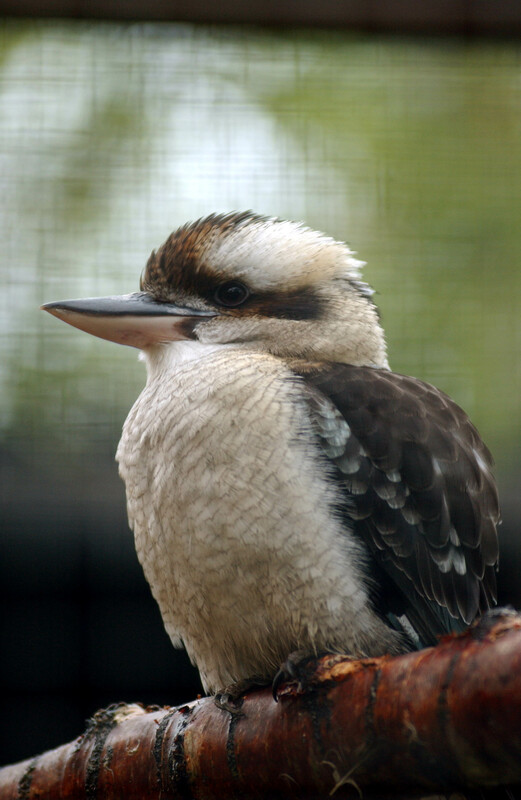 We are known as laughing kookaburras because we have a very characteristic call, it sounds like we are laughing and this can be heard early in the morning and at dusk. Sheila and myself are a perfect match and can often be seen cuddling together in the tree!